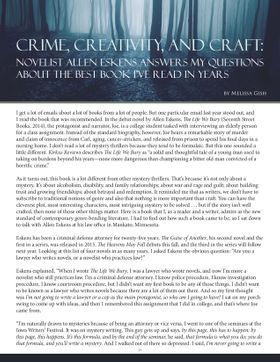 "Writing for No Reason: A Conversation with Josh Malerman." Aji, Fall 2018, pp. 16-25. Down in the Ocean: Coral Reef Communities. Creative Education, 2018. 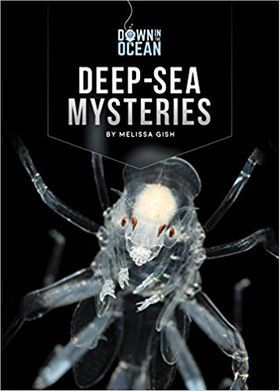 Down in the Ocean: Deep Sea Mysteries. Creative Education, 2018. 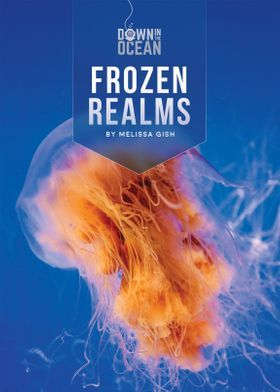 Down in the Ocean: Frozen Realms. Creative Education, 2018. Down in the Ocean: Seafloor Scavengers. Creative Education, 2018. Down in the Ocean: Spineless Sea Creatures. Creative Education, 2018. Down in the Ocean: Tidepool Treasures. Creative Education, 2018. Living Wild: Anteaters. Creative Education, 2018. Living Wild: Black Bears. Creative Education, 2018. Living Wild: Eels. Creative Education, 2018. Living Wild: Hyenas. Creative Education, 2018. Living Wild: Puffins. Creative Education, 2018. Living Wild: Red Pandas. Creative Education, 2018. Living Wild: Salamanders. Creative Education, 2018. Living Wild: Tapirs. Creative Education, 2018. 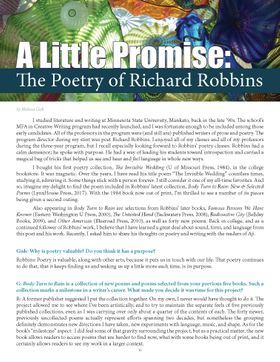 “A Little Promise: The Poetry of Richard Robbins.” Aji, Fall 2017, pp. 16-19. Living Wild: Elk. Creative Education, 2017. Living Wild: Lemurs. Creative Education, 2017. Living Wild: Llamas. Creative Education, 2017. Living Wild: Pelicans. Creative Education, 2017. Living Wild: Prairie Dogs. Creative Education, 2017. Living Wild: Seahorses. Creative Education, 2017. 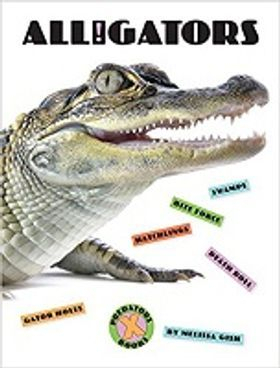 X-Books: Alligators. Creative Education, 2017. X-Books: Killer Whales. Creative Education, 2017. 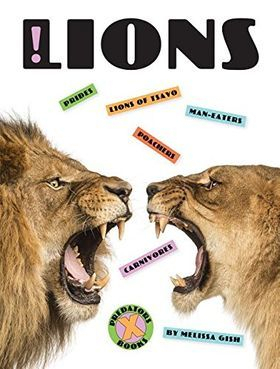 X-Books: Lions. Creative Education, 2017. X-Books: Piranhas. Creative Education, 2017. X-Books: Sharks. Creative Education, 2017. X-Books: Snakes. Creative Education, 2017. I've Read in Years." Aji, Fall 2016, pp. 18-22, www.ajimagazine.com. Living Wild: Armadillos. Creative Education, 2016. 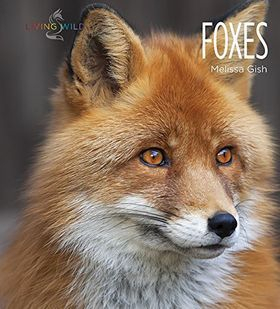 Living Wild: Foxes. Creative Education, 2016. Living Wild: Manatees. Creative Education, 2016. Living Wild: Ostriches. Creative Education, 2016. Living Wild: Peacocks. Creative Education, 2016. Living Wild: Rays. Creative Education, 2016. Living Wild: Sloths. Creative Education, 2016. Living Wild: Snow Leopards. Creative Education, 2016. 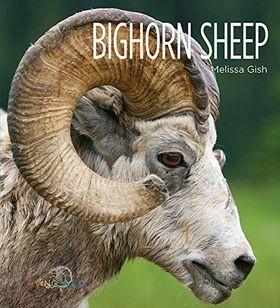 Living Wild: Bighorn Sheep. Creative Education, 2015. Living Wild: Crabs. Creative Education, 2015. Living Wild: Falcons. Creative Education, 2015. Living Wild: Iguanas. Creative Education, 2015. Living Wild: Jellyfish. Creative Education, 2015. Living Wild: Meerkats. Creative Education, 2015. Living Wild: Raccoons. Creative Education, 2015. Living Wild: Storks. Creative Education, 2015. Living Wild: Beavers. Creative Education, 2014. Living Wild: Brown Bears. Creative Education, 2014. Living Wild: Flamingos. Creative Education, 2014. Living Wild: Geckos. Creative Education, 2014. Living Wild: Hawks. Creative Education, 2014. Living Wild: Sea Turtles. Creative Education, 2014. Living Wild: Wild Horses. Creative Education, 2014. Living Wild: Wolverines. Creative Education, 2014. Living Wild: Antelopes. Creative Education, 2013. Living Wild: Chameleons. Creative Education, 2013. Living Wild: Chimpanzees. Creative Education, 2013. Living Wild: Frogs. Creative Education, 2013. Living Wild: Hippos. Creative Education, 2013. Living Wild: Octopuses. Creative Education, 2013. Living Wild: Skunks. Creative Education, 2013. Living Wild: Walruses. Creative Education, 2013. Living Wild: Camels. Creative Education, 2012. Living Wild: Cougars. Creative Education, 2012. Living Wild: Piranhas. Creative Education, 2012. Living Wild: Sea Lions. Creative Education, 2012. Living Wild: Tortoises. Creative Education, 2012. Living Wild: Vultures. Creative Education, 2012. Living Wild: Woodpeckers. Creative Education, 2012. Living Wild: Zebras. Creative Education, 2012. Living Wild: Bison. Creative Education, 2011. Living Wild: Hummingbirds. Creative Education, 2011. Living Wild: Jaguars. Creative Education, 2011. Living Wild: Komodo Dragons. Creative Education, 2011. Living Wild: Owls. Creative Education, 2011. Living Wild: Pandas. Creative Education, 2011. Living Wild: Rhinoceroses. Creative Education, 2011. Living Wild: Whales. Creative Education, 2011. Living Wild: Alligators. Creative Education, 2010. Living Wild: Bats. Creative Education, 2010. Living Wild: Eagles. Creative Education, 2010. Living Wild: Gorillas. Creative Education, 2010. Living Wild: Kangaroos. Creative Education, 2010. Living Wild: Killer Whales. Creative Education, 2010. Living Wild: Leopards. Creative Education, 2010. Living Wild: Moose. Creative Education, 2010. “Teeth.” [Short story with Adrian Patterson]. Rosebud Magazine Fall 2010. Living Wild: Crocodiles. Creative Education, 2009. Living Wild: Elephants. Creative Education, 2009. Living Wild: Monkeys. Creative Education, 2009. Living Wild: Sharks. Creative Education, 2009. This Land Called America: Oklahoma. Smart Apple Media, 2009. This Land Called America: Tennessee. Smart Apple Media, 2009. This Land Called America: Utah. Smart Apple Media, 2009. This Land Called America: Washington. Smart Apple Media, 2009. My First Science Book: Energy. Creative Education, 2005. My First Science Book: Light. Creative Education, 2005. My First Science Book: Sound. Creative Education, 2005. My First Science Book: Temperature. Creative Education, 2005. “The Artist.” [Poem]. Rosebud Magazine Spring 2004. Field Trips: An Airport. Mankato, MN: Smart Apple Media, 2003. Field Trips: A Construction Site. Mankato, MN: Smart Apple Media, 2003. Field Trips: A Dairy Farm. Mankato, MN: Smart Apple Media, 2003. Field Trips: A Newspaper. Mankato, MN: Smart Apple Media, 2003. Let’s Investigate: Fossils. [With Nancy Shaw]. Creative Education, 2000. Northern Trek: Brown Bears. Creative Education, 2000. Northern Trek: Wolves. Creative Education, 2000. Let’s Investigate: Fisheries. Creative Education, 1999. Ovations: Steven Spielberg. Creative Education, 1999. Let’s Investigate: Snakes. Creative Education, 1998. Additional works of fiction and poetry have appeared in various small press periodicals, including Art Forum, Crossroads, Helena Review, Just Write!, Mankato Poetry Review, Midwest Poetry Review, Palace Corbie, Pirate Writings, River King Poetry, The Urbanite, The Vinyl Elephant, Wolf Head Quarterly, and others. 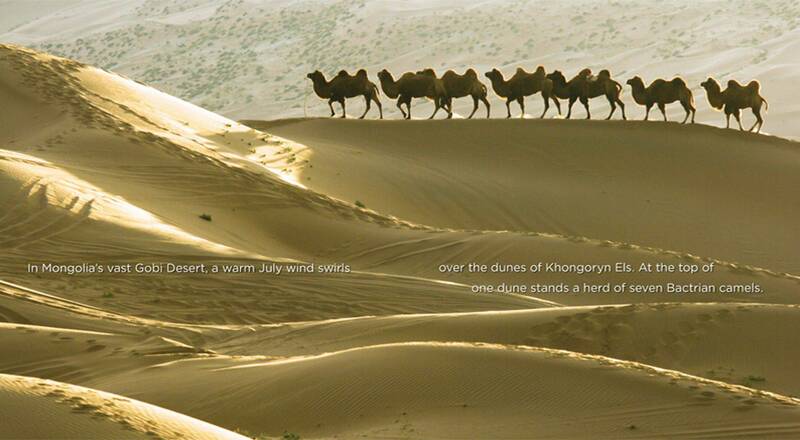 Banner image from Living Wild: Camels. Book covers copyright Creative Education, Mankato, MN.